A very hardy pear. 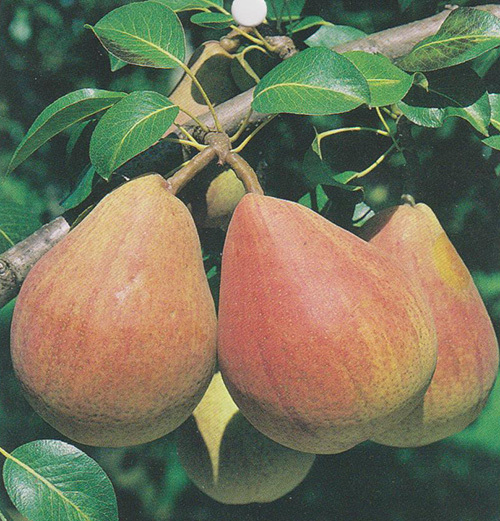 The 1.75″ fruit are a medium yellow, lightly blushed with dull red and ripen mid-season. Good for canning and spicing. This tree should only be grown in full sunlight. It does best in average to evenly moist conditions, but will not tolerate standing water. 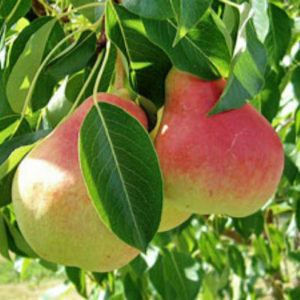 Golden Spice Pear is a medium-sized tree that is typically grown for its edible qualities. It produces yellow oblong pears. Best pollinator is the Summer Crisp Pear.